RAMFILL PLUS NM “Mechanical Non-Metal” sleeve repair systems are manufactured with RAM-100 epoxy resin, reinforced with high resistance synthetic mesh made of carbon fiber, fiberglass, Kevlar or Aramid, per regulations and according to the requirements and specifications of each project or customer’s choice. 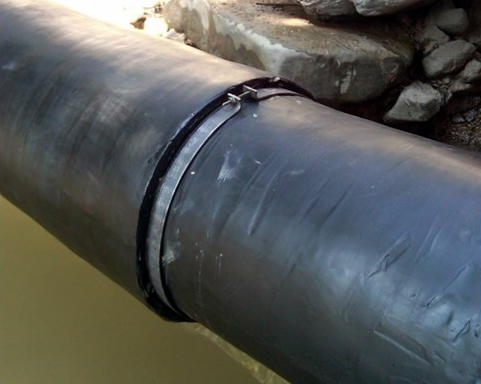 These repair systems are manufactured in a continuous roll, long enough to supply coverage for the number of layers per project specifications and required safety regulations, and to cover the entire length of the pipe for each repair. RAMFILL PLUS NM repair systems are for on-site easy and fast installation on active pipelines without interrupting the operations. RAMFILL PLUS NM repair systems are considered permanent repair systems because of their mechanical and thermal stability. PEMEX-PEP P.6.0371.2012 – Design and Installation of No Metal Enclosures of Rehabilitation in PEP Facilities Process. 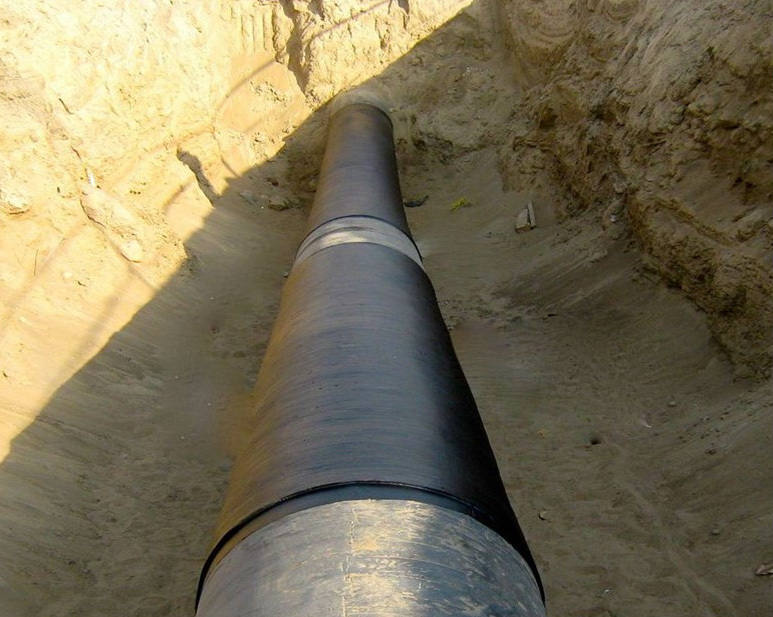 restoring the stress strength characteristics of the original conditions of the pipe. 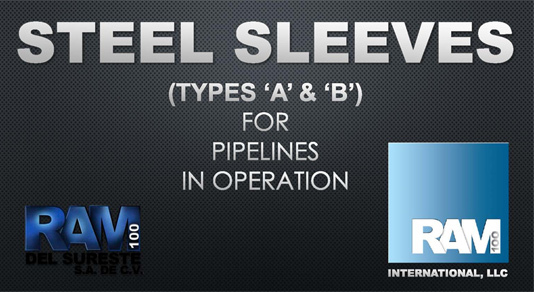 Both factors in the design are considered while complying with the methodology for flaws categorized as Type "A" described in sections 6.5.2 through 6.5.6, 6.5.9.3, and 6.5.9.7 of the norm ISO/TS 24817:2006, and in sections 3.4.1 through 3.4.10.1 of norm ASME PCC-02 2011, as applicable.